On my own, before heading back to California, I wanted to grab one last great bite of food from Walt Disney World. But where to go? 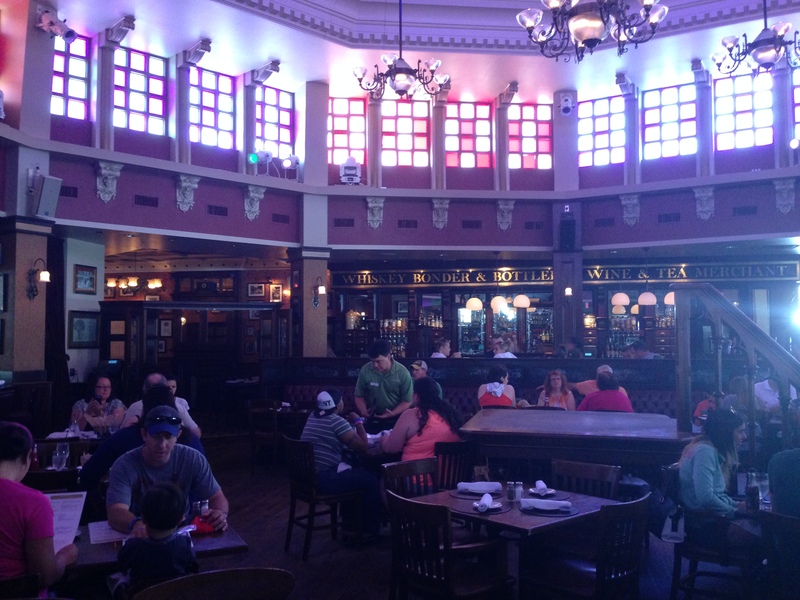 With so many options, it was hard to choose, but I had my eye on Raglan Road in Downtown Disney for some time. Located in the Downtown Disney Pleasure Island area this expansive restaurant is not only serving incredibly delicious food, but they are about as authentically Irish as you can get. Their website claims that not only are the owners and chef from Ireland, but literally the building is as well! Even their site is fun and informative and worth a look at. Now this kind of food quality doesn’t come cheap, but I didn’t regret one penny. The flavors are rich and the ingredients are truly high quality. The service is beyond exceptional as well. The gentleman who served me was not only well-informed but polite and checked in on me just enough to let me know I was being well taken care of. He had wonderful stories about the food and the restaurant, too. Now on to the meal! 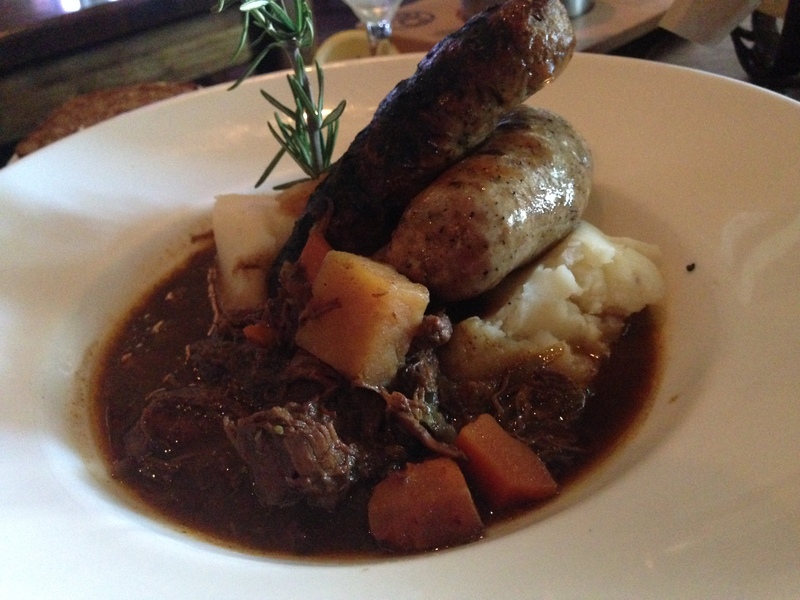 I’ve only had bangers and mash twice before having it at Raglan Road and this one blew those other ones away. Both other places claimed to be Irish pubs, but if that was true, Raglan Road is an Irish pub on steroids. The food is wickedly good and as authentic as you can imagine. I had the Bangers and Booz which is bangers and mash (sausage made with Guiness and onions with mashed potatoes made fresh – both excellent) surrounded by beef stew (tasty and rich). It was served along side delicious soda bread which I could have eaten for days. 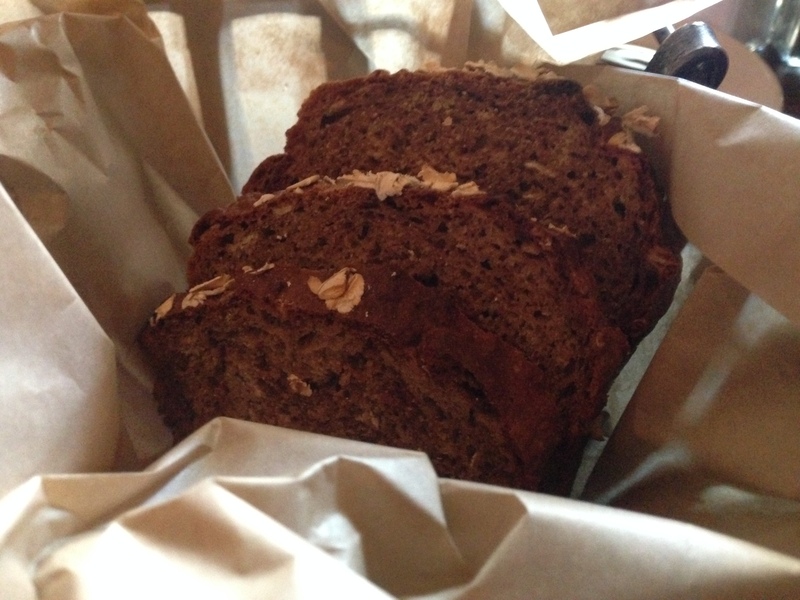 Both savory and slightly sweet, this bread was excellent. Wish I could have taken a loaf home with me. Wanting to try the whole experience I went for a side salad also. They shouldn’t call a bowl so big a “side” anything. Definitely worth it. The only thing that I didn’t fancy that much was the baked beans. I tend to like them molasses sweet like in the South and this was more hearty like a stew. 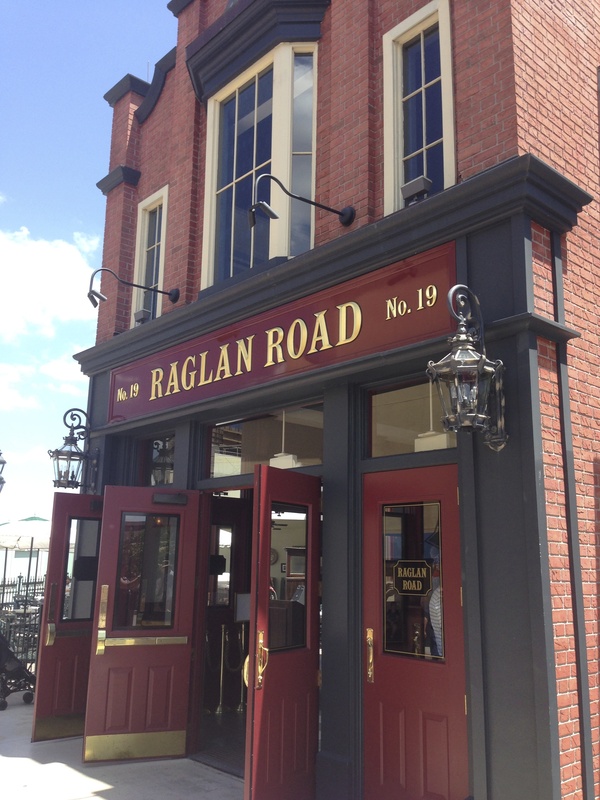 If you’re looking for a great place to eat with wonderful service and don’t mind pouring out a bit more extra money, try Raglan Road. You won’t regret it. Previous Previous post: Marvel Cinematic Universe PHASE 3 REVEALED!